Finding out the gender of your unborn baby will be one of the most memorable moments of your life. Traditionally, this surprise happens in the delivery room, but recently more couples are opting out of the wait and sharing the big news with loved ones before their little ones are even born. 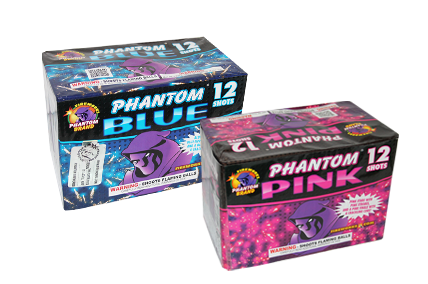 Phantom Fireworks would love to be a part of that special moment and help celebrate the joyous occasion. And what better way to celebrate a gender annoucement than with Fireworks! 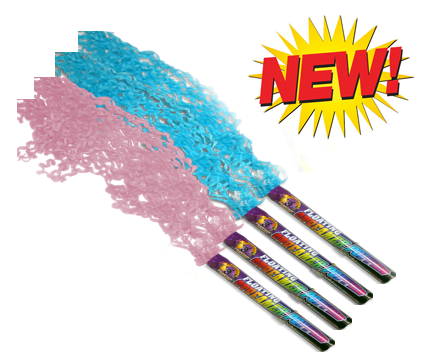 These BRAND NEW exclusive Phantom Fireworks Streamer Poppers are perfect to celebrate your gender reveal announcement or any other celebration! Available in multiple colors including pink and blue, these streamers stay attached so there is no mess, no fuss, quick and easy cleanup! Shoots extra long streamers over 14 feet long! Order Online now and have them shipped to you. 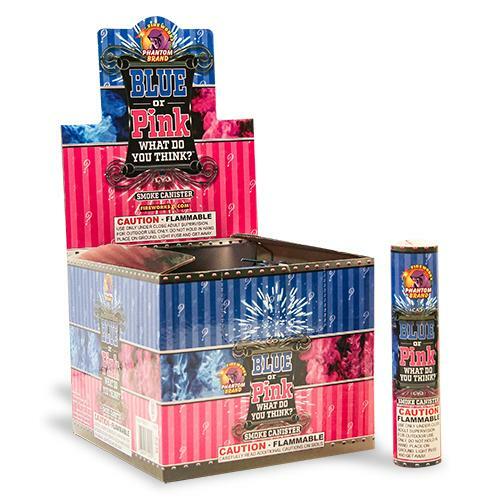 Phantom's Gender Reveal Smoke comes in Blue or Pink, each individually wrapped in our blue & pink design so the surprise stays a surprise until its time to announce. 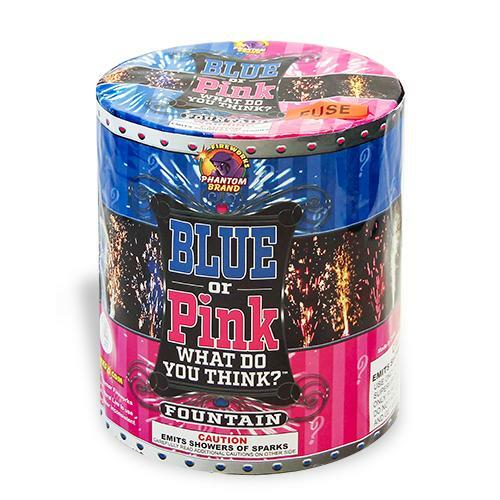 Phantom Fireworks' Gender Reveal Fountain (H-235) emits an amazing display of bright blue or pink sparks that stay grounded. This display is a beautiful way to announce to your family and friends the gender of your new arrival! PHANTOM BLUE POWERSHELL(G-435) and PHANTOM PINK POWERSHELL(G-434). These aerial tubes provide a huge powerful blue or pink chrysanthemum burst that light up the sky. Perfect to use to announce your gender reveal! PHANTOM BLUE (G-440) and PHANTOM PINK ( G-441) are the perfect aerial repeaters to announce the gender of your baby. 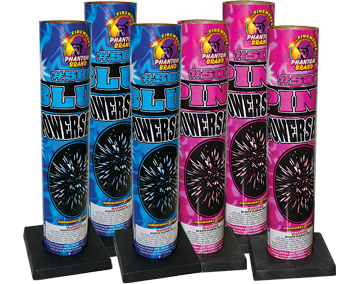 Each 200 gram repeater has 12 huge shots of big blue bursts or bright pink bursts. 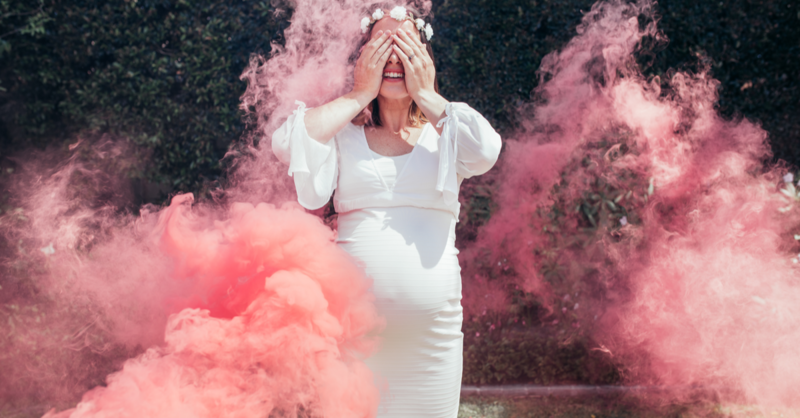 Visit our exclusive GENDER REVEAL LINE and allow us to help you tell your loved ones and express your joy and excitement to the big news...with a BANG!